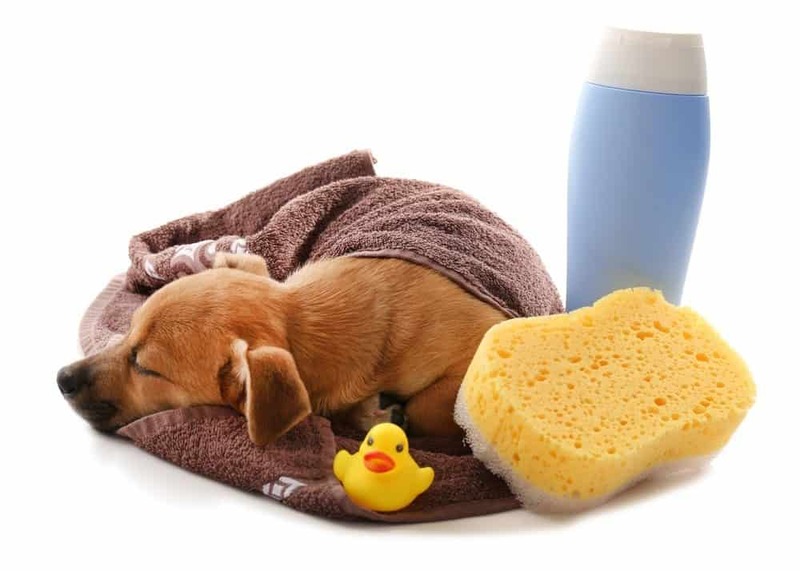 When is it Time to Give Your Dog a Cleaning? 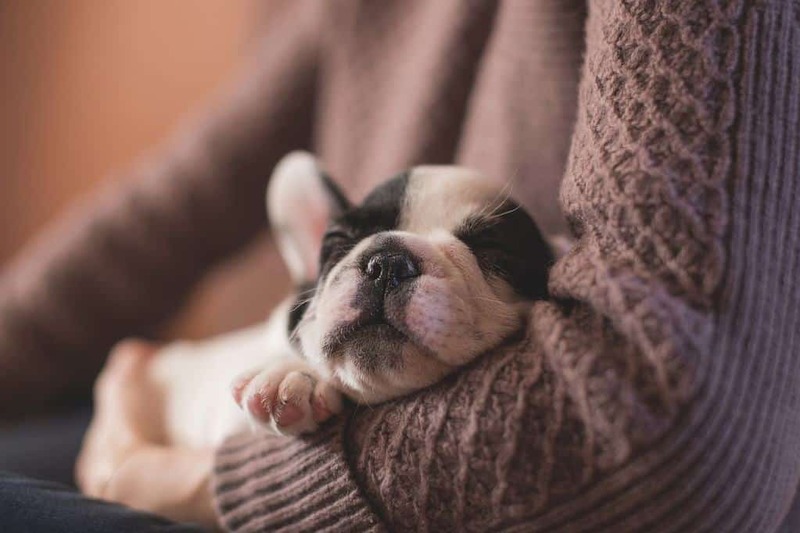 How to Control Your Dog’s Odor? How to Choose the Best Smelling Shampoo? Can we use human shampoo? Where can I buy these specialized shampoos? How often do you bathe your dog? Also, does the smell of the shampoo you use last for a while? 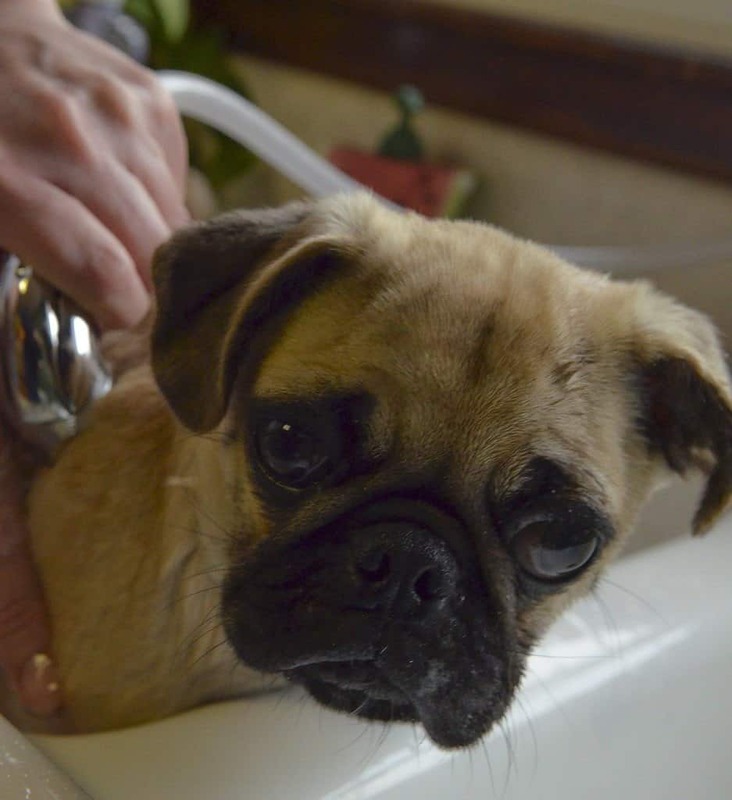 Rinsing your pup and keeping its smell fresh is sometimes more tricky than you expect. Regardless of whether you have a puppy or a fully grown hound, baths can be a struggle. But, once you go through all of that, how long does your dog actually remain smelling fresh and clean? 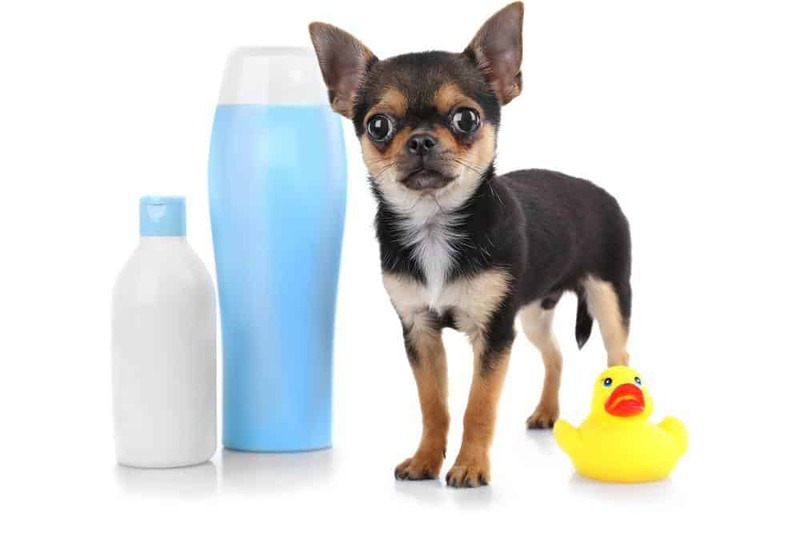 The market is packed with pet shampoos nowadays, and there are many different types to choose from, too. From leave-in shampoos to 2-in-1 shampoo and conditioner combos, you can get it all. However, finding an effective product that will clean the fur and smell good for days to come can be challenging. We’re sure that our buyer’s guide below can help you in your search. 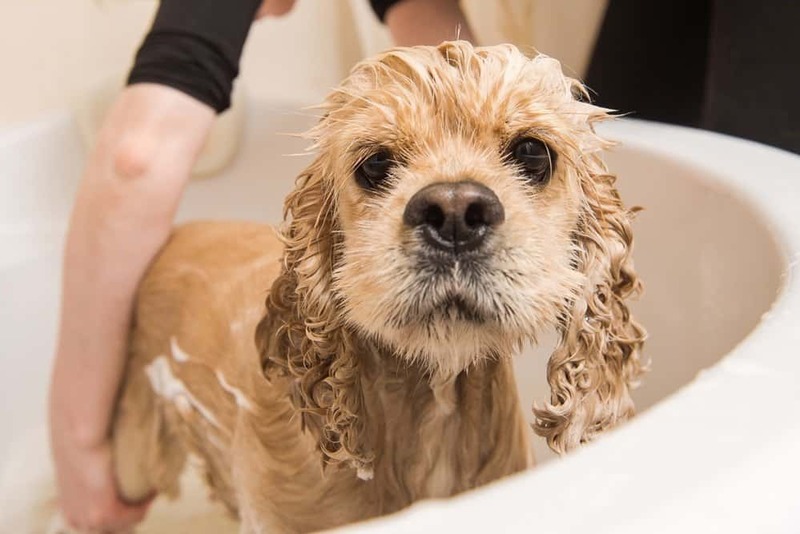 Continue reading to find the best-smelling dog shampoos that will clean the dirt and continue to smell amazing until the next time you clean them. This USA-made shampoo + conditioner combination is best for allergy prone dogs. 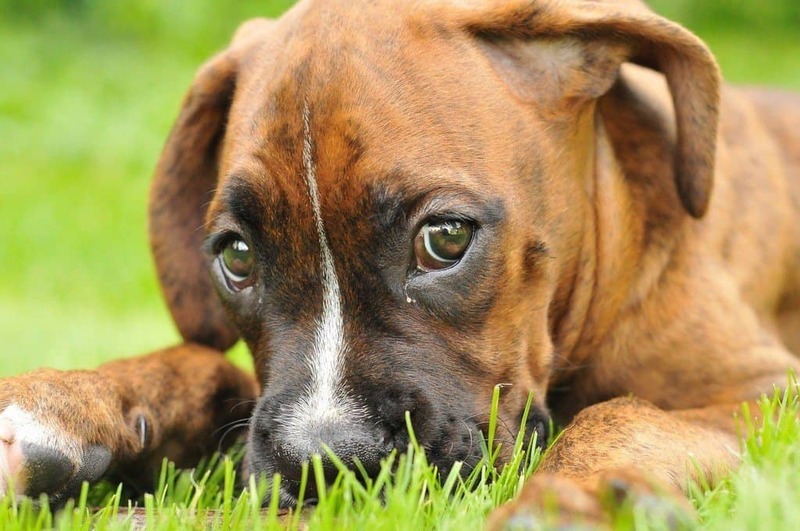 So, you should try it out if your pup is allergic to grass, fleas, and certain foods. It’s PH balanced and specially made for sensitive skin. The product features no alcohol, added colors, sulfates, fragrance, or harsh chemicals. In other words, it’s made of entirely natural ingredients like almond oil and aloe vera and vitamins D, E, and A. It’s soothing and therapeutic so that it won’t cause any itching or irritation. This one won’t irritate your pet’s nose and eyes, so the washing them are fun and enjoyable. It’s easy to brush through and will make your dog smell of cherry for days. Another thing worth noting is that it’s cruelty-free and doesn’t contain any animal byproduct. 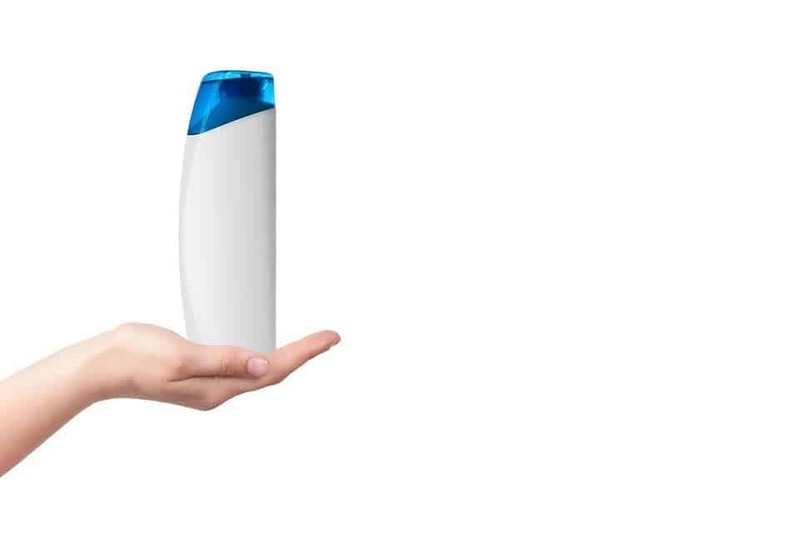 The bottle it comes in is biodegradable and made of recycled materials. The shampoo is safe to use on cats and rabbits, too. This one is all natural and suitable for both puppies and adult dogs. It’s ideal for dogs that often have itchy and irritated skin. The product is made of colloidal oatmeal which soothes and calms flaky skin. At the same time, it also works as a deodorant and leaves the fur smelling fresh. It’s an organic treatment with conditioning effects that features no sulfates and chemicals. 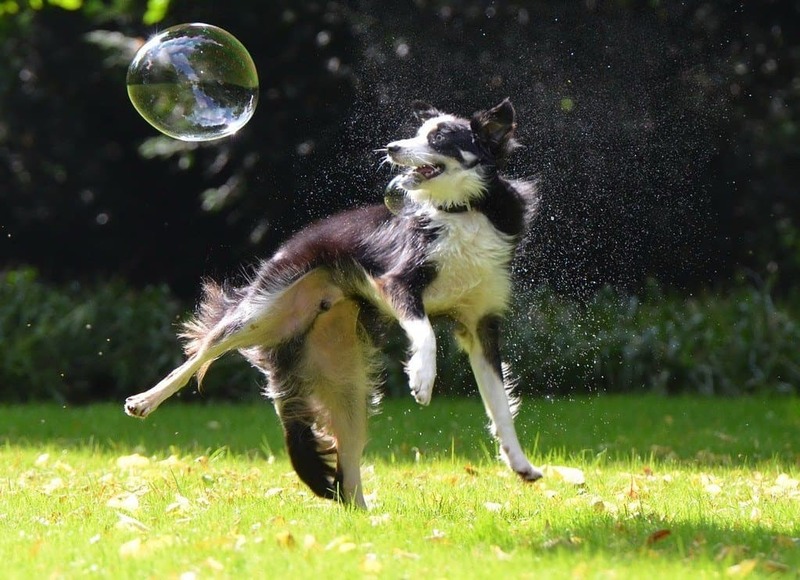 The HoneyDew is among the best solutions for dogs who like rolling in dirt and muddy puddles. It includes Provitamin B5 and Jojoba oil to battle skin irritation and helps detangle fur. You’ll find it easy to brush and rinse, leaving the hair smooth, clean, and scented. Also, it’s made in the USA and comes in a BPA-free and eco-friendly bottle. If your pet has dry skin, dandruff, sensitive skin or any ailments, this might be a good option to try. It’s pH balanced, and doesn’t dry or irritate the skin furthermore. It’s a shampoo and deep conditioner in one product which saves you some time spent when washing them. 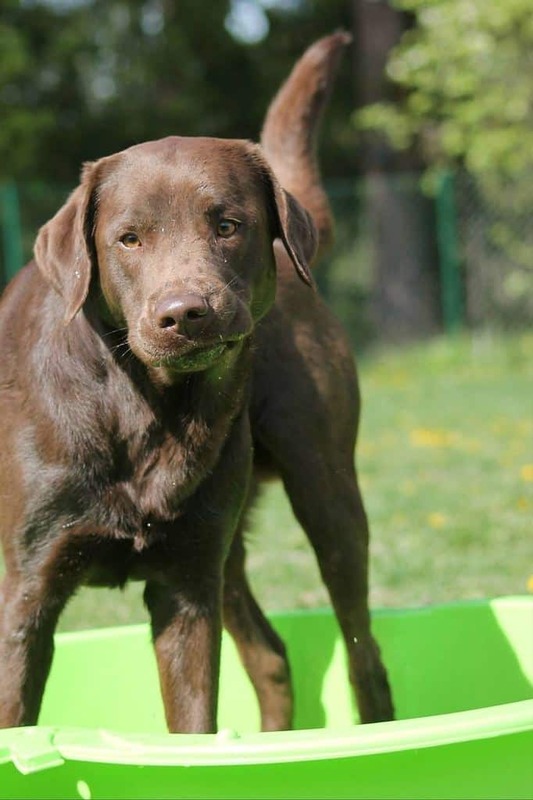 For this reason, it’s especially convenient for dogs who don’t like getting wet as much. This one is made from aloe vera and natural extracts of different veggies and fruits. The combination cleans even the dirtiest hairs leaving the bright, smooth and soft. On top of that, the hound will smell fresh and clean for as long as two weeks. Another great thing about it is that it doesn’t irritate the eyes and nose. We all know how hard it is to avoid those areas especially if your pet wiggles all the time. You can freely use this one without fearing it will hurt your pet. Who doesn’t like a big pack of a great smelling shampoo? This one comes in an 18-ounce bottle which means you won’t have to buy a new one any time soon. It’s a scented shampoo that will leave fur smelling clean and fresh for weeks before the next soak. You’ll notice a new wave of the scent every time you touch your dog’s coat. The shampoo helps to remove tangles and mats deeply conditioning the hairs. It leaves the coat smooth and easily manageable thanks to the antistatic agents it contains. The best thing is that it works on both short and long coats, puppies and adult pooches. The product is easy to use as you need just a little bit for each time you wash your dog. It makes nice foam, but you also won’t have any trouble rinsing it. The scent it leaves behind is as fresh as an air freshener without being too overpowering. This isn’t a regular pet shampoo because it features Chlorhexidine 4% that helps eliminate and prevent microorganisms and bacteria that cause disease. Its antiseptic ingredients treat skin problems in horses, cats, and dogs. 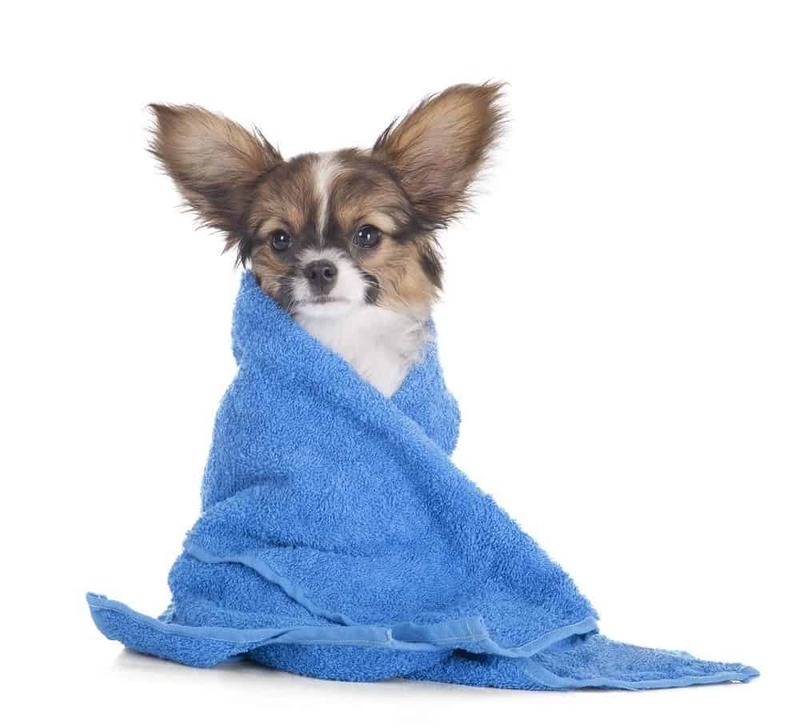 By eliminating bacteria, the shampoo also removes the musty smell from your pet’s coat. The product smells like fresh blueberries, and the scent is released each time you pet the dog. It’s a gentle formula that deep-cleans the coat while soothing the skin. In the end, fur is smooth, soft and fluffy for weeks until the next soak. This one is free of soap and parabens, featuring only natural ingredients that calm the skin and smell like berries. If you have a dog and a cat, this is another shampoo that you might like. It’s specially made for the itchy and dry skin of pets that suffer from skin conditions such as alopecia, hives, dandruff, pruritus, dryness, etc. Its gentle formula made of aloe vera and oatmeal helps soothe the irritated skin while cleansing the coat, too. 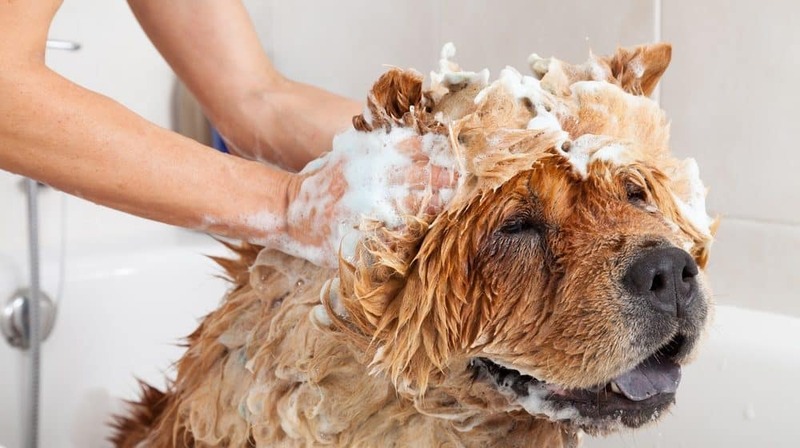 Depending on the thickness of the fur, the shampoo can provide instant relief. This one helps restore the health of all hairs giving it back its shine and softness. It doesn’t take away any natural oils but helps the skin recover and retain its natural oils. The best thing is that it’s completely free of toxins and harsh chemicals. It contains shea butter, aloe vera, chamomile, honey extract, rosemary, and oatmeal which are all natural ingredients. It’s made in the USA and is approved by vets all over the world. If you and your pets live a quick and on-the-go lifestyle, then this could be the best choice for you. It’s a quick way to clean your canine’s fur without the hassle and struggle of rinsing. This one is a no-rinse shampoo, and you can get it in different sizes, too. Smaller bottles come with a noiseless sprayer that makes the application even easier. Overall, it’s a pharmaceutical grade shampoo that cleans all coats while making them shiny and soft. All the natural ingredients help to sooth the skin and calm any irritation that’s going on. You’ll notice a clean and fresh scent after each use that’s not too overpowering. It’s the kind of smell your canine has after a groomer’s appointment. However, the smell does go away after a few days. 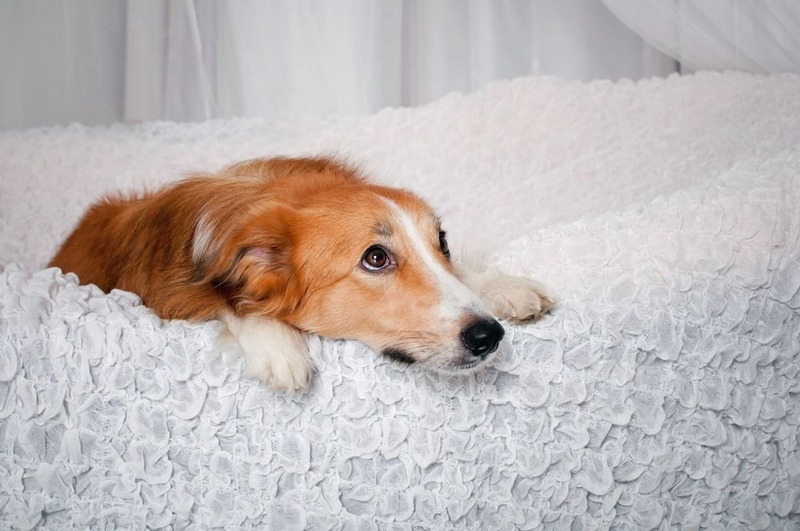 The odor is probably the best and often only sign that your dog needs a cleaning. 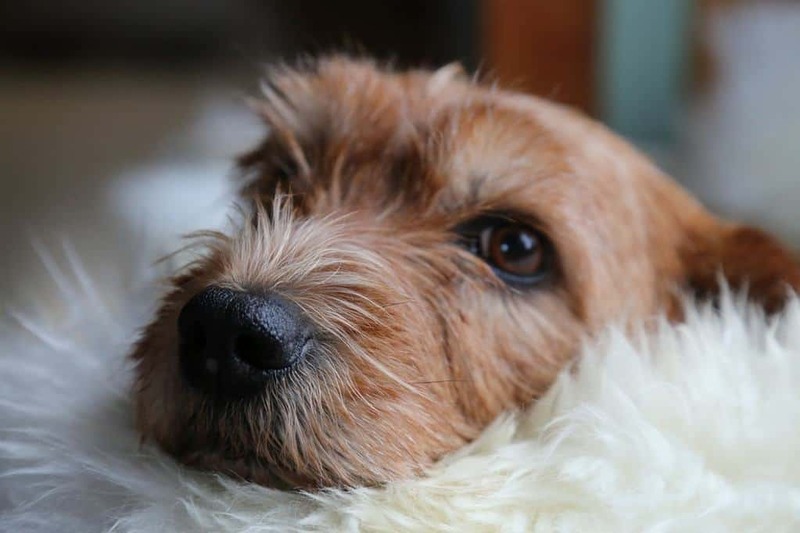 If you’re a dog owner, you probably already know that dogs have this weird, distinguished odor, especially when the fur is wet. If you don’t bathe your dog regularly, the odor will appear after a certain time, and that should be your sign. In most cases, it’s best to attend to it right away because delaying can lead to the development of many skin problems and infections. However, keep in mind that all dogs are different and they also smell differently. For example, some coats tend to smell quite bad after it rains, while others don’t react to it as badly. The goal is to always observe your pet. Another thing you should observe is your pup’s skin. If there’s a case of bad odor, there might be a case of infection, too. Before you apply any shampoo or conditioner, make sure to check its skin for irritation, skin condition or yeast infection. 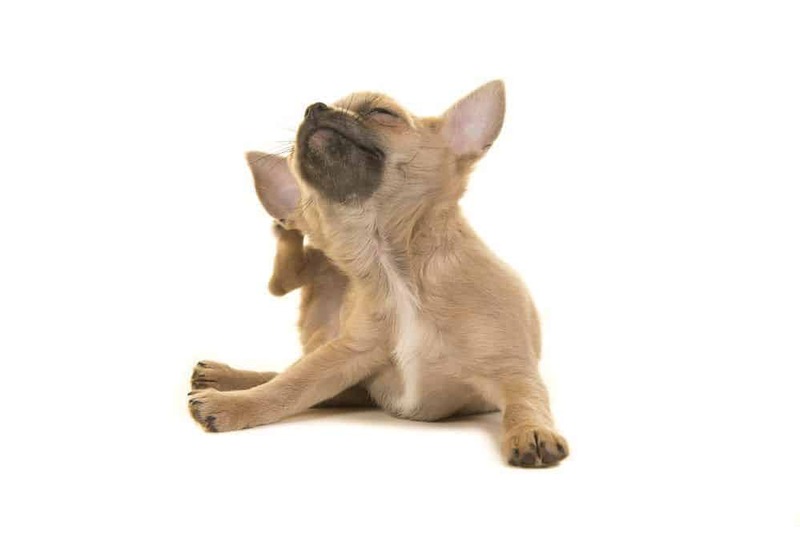 If there hasn’t been any odor but your pup is constantly scratching and rolling on the floor, this might be a sign of irritation. It happens if the pup’s skin is too dry and flaky. However, keep in mind that all dogs scratch at times, just like people do, so what you’re looking for is unusual and frequent scratching. Another few causes of this are also mites, ticks, and fleas. These pesky trouble-makers make animals uncomfortable and can cause severe problems if not treated immediately. Luckily, the problem doesn’t always have to be as scary as irritation or ticks. 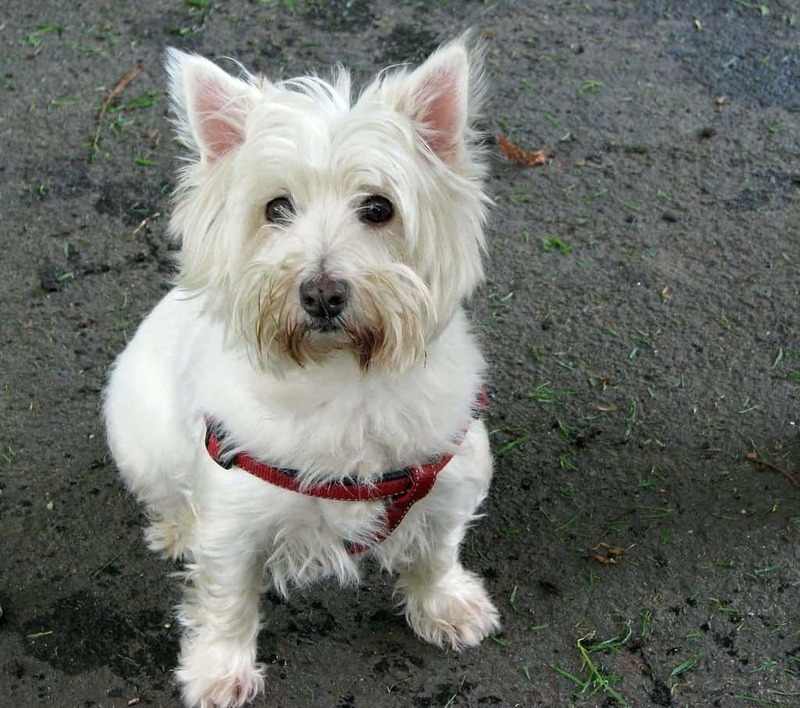 Maybe your pet is just plain dirty from rolling in the dirt and digging holes in the garden. The most important thing is to check what could cause the scratching so you can choose the appropriate shampoo. If the fleas are a problem, you want a shampoo that can’t battle them the right away. If it’s irritation, look for something with soothing effects. This is something that not many people acknowledge, but playing with other dogs can also be a reason enough to give yours a rinsing. A good rinsing once a week is a good idea if you take the pup to the park where it can play with its fur friends. 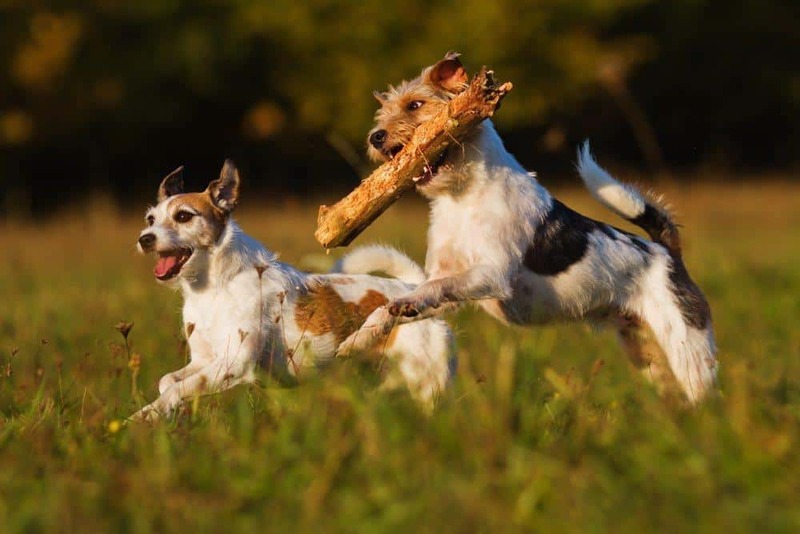 Dogs play and jump all over each other which can mean a transfer of skin infections, fleas, ticks, etc. You can’t always tell if another dog has tons of bacteria under its fur, and you don’t want any of that to get to your pet. So, give it a rise after a few play dates in the park to make sure you’re battling possible infections. 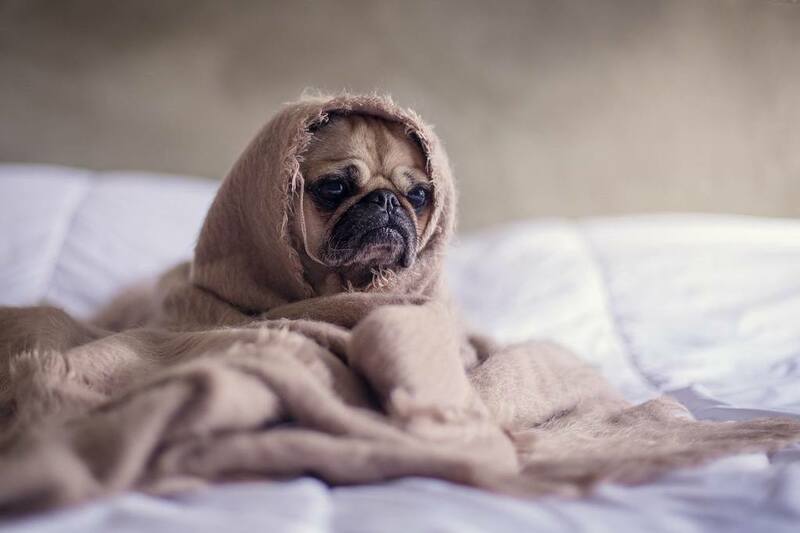 Infections are contagious, but if you keep your pooch clean, it’s highly unlikely you’ll have to deal with it in the future. Prevention is vital if your canine is hanging out with other dogs often. Rubbing against carpet is similar to scratching because animals usually do it when something is itching. Most often, the trouble areas are those your pet can’t reach with its paws, so it has to roll around and rub against the ground or carpet. 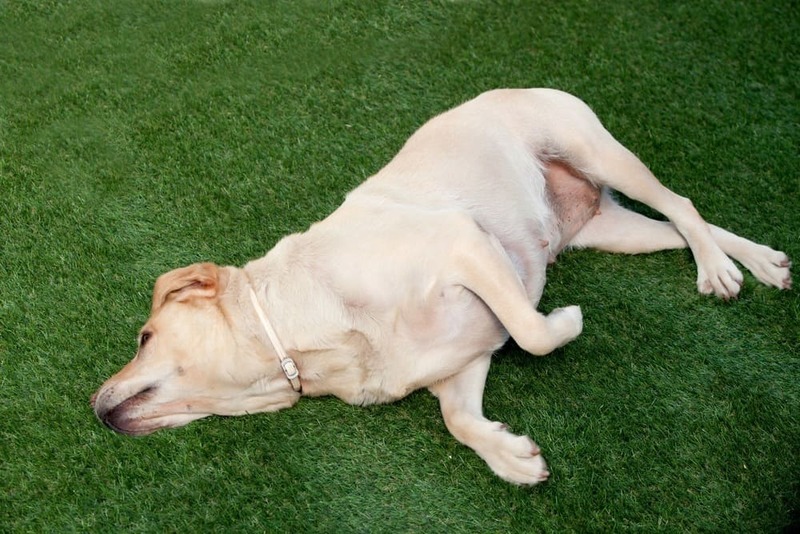 Some dogs roll while others crawl across the rug depending on what part of their body is itching. If you notice this, you should first check its fur and skin before proceeding directly to washing it. 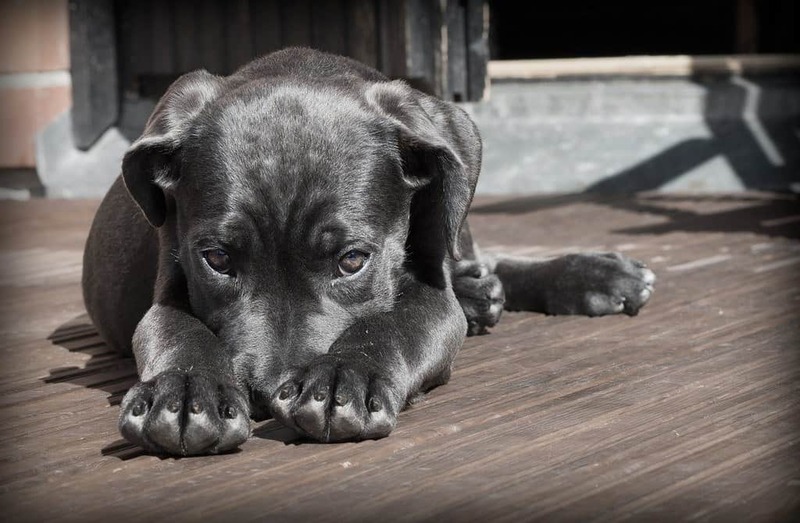 By checking, you can see skin irritation, infection, ticks, fleas and whatever other things that might be causing your dog to rub against the ground. Once you establish what the reason behind this behavior is, you can choose the best shampoo to treat the issue in the most effecient way. 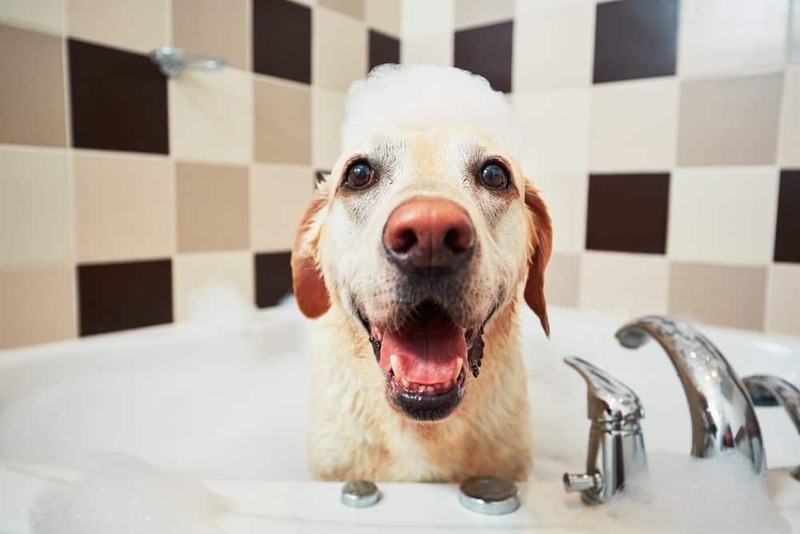 A quick rinsing with some of the best-smelling shampoos is for sure going to keep your pup smelling nice. There are lots of different formulas that feature different scents, so it’s only a matter of choosing your favorite. 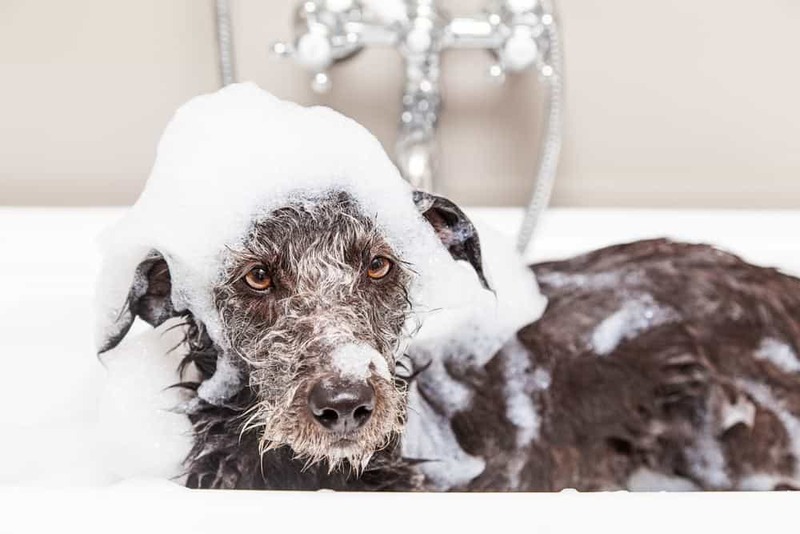 Some shampoos have great scents, but they might not last all the way until the next wash. More so, dogs shouldn’t shower as often as we do, so what can you do in between the baths? Wet wipes can help, and although you can get specially-made dog wipes, baby ones do a good job, too. It’s essential they’re gentle and smell nice. They are also great for on-the-go when you need to clean its paws before entering the house, for example. While you want something that smells amazing, you should also consider a few other factors. Is the shampoo natural? Does it contain any chemicals? Could it be that the scent is too strong for your pet? These are just a few of the things you should pay attention to when you’re buying the best-smelling shampoo. It might be hard to believe that something like shampoo can be made from entirely natural ingredients. Luckily, it can. When we say a product is all-natural, we mean it doesn’t feature any harsh chemicals and artificial ingredients that could harm your pet. Allergens can also be considered harsh, artificial, and all-the-way harmful, so make sure to check for them as well. You have to be cautious when it comes to this because some brands tend to label the product as all-natural while that might not be the truth. Take some time to turn the bottle and read the ingredients. Whatever is in the bottle should be stated there, so you can easily see if it’s indeed all-natural. 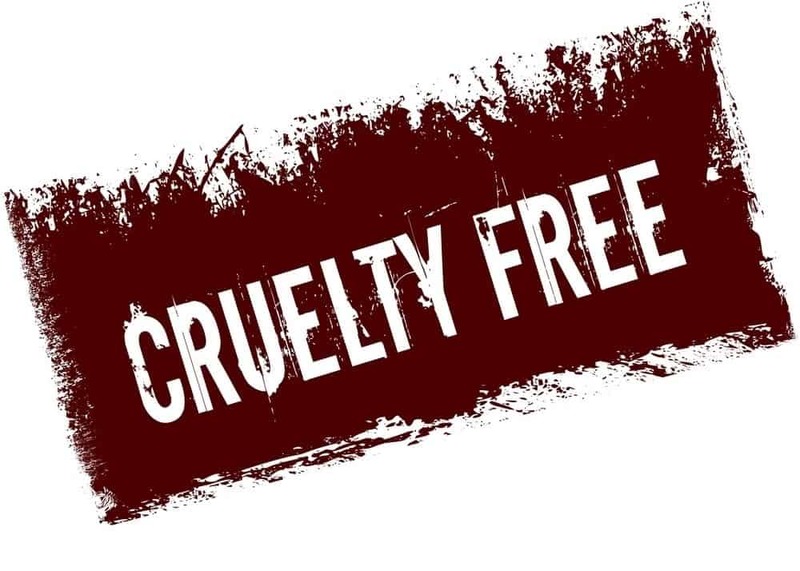 Choosing cruelty-free products is an important step we should take towards a better environment and world as a whole. 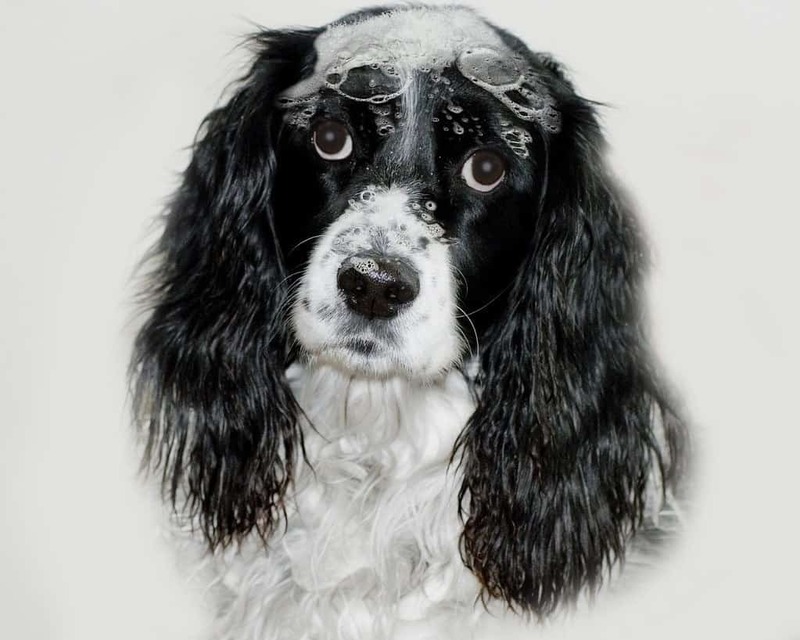 However, it may seem logical to some to test dog shampoo on animals, but it’s not. It’s not ethical either since animals are often put at risk this way. Luckily, more manufacturers are considerate and animal-friendly giving up on such testing, so you shouldn’t have a problem with finding cruelty-free shampoos, some of which we’ve included in our list above. If you’re looking for a best-smelling shampoo, you obviously want something that smells nice and for a long time. Though scent has the main role in here, you have to consider it carefully. The first thing you should note is that animals have a sense of smell that is more refined than ours. They find scents more intense than we do which is why some fragrances might be too strong for their respiratory system. Choose only the ones that are naturally scented with citrus, lavender or other natural ingredients. Again, check the label at the back of the bottle to see the ingredients and whether the scent is natural or not. Are you looking for more options than just shampoos that are best smelling? Many products on the market are just toxins and chemicals with a pleasant scent to trick you into thinking they’re natural. Artificial colors – who hasn’t been attracted to shampoo because of its lovely bright color? Though it looks like a subtle tint of a natural ingredient, it’s probably just artificial coloring. These are trouble-makers and can actually cause many forms of cancers. A few to avoid are FD&C, Yellow 5, or D&C. Fragrances – it’s what makes the shampoo smell great, isn’t it? Though this is true, you should make sure that the aroma comes from natural ingredients, plants, and essential oils. If not, avoid it. Even if it does smell natural and you can’t sense any chemicals in it, your dog might actually sense them. Read the ingredients list to avoid fragrances that could cause allergic reactions. 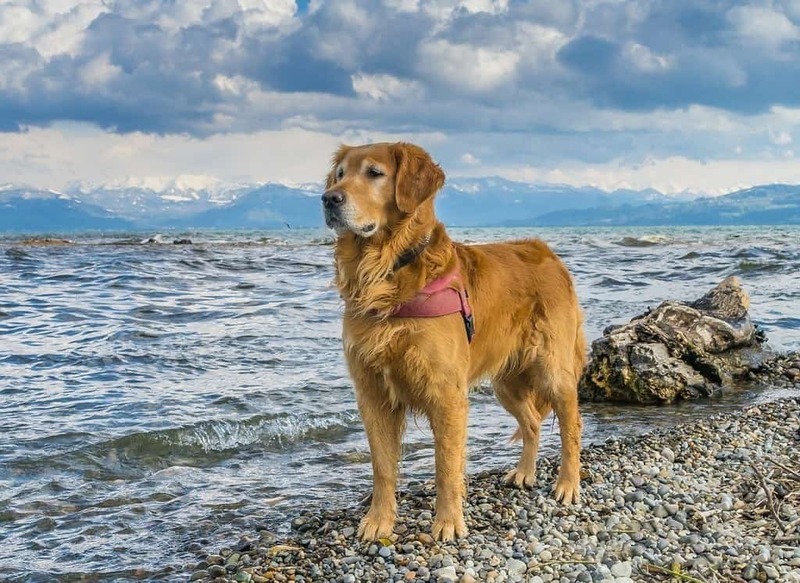 Mineral oil – how can something called mineral oil not be good for your pup? Well, this is the industry sneaking something bad as something good. The craziest thing is that you could probably find it in some of your own skin care products. It’s a byproduct of distilled gasoline made from crude oil. 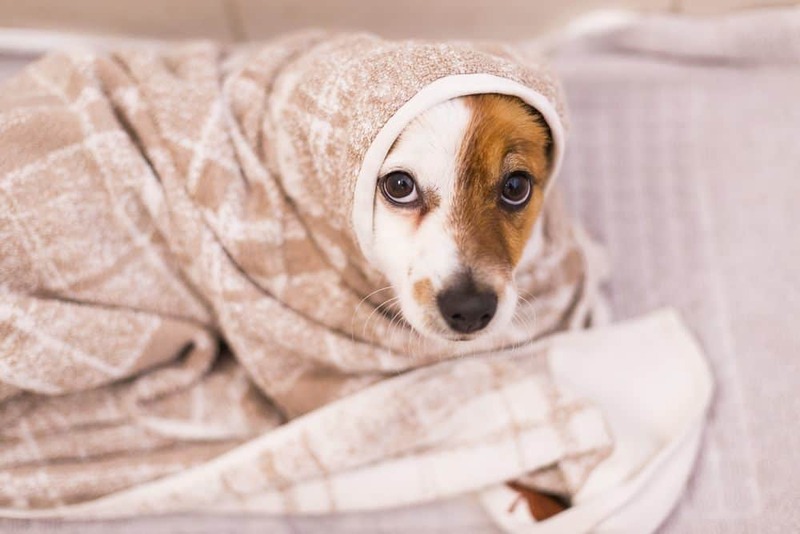 It coats your pet’s skin and prevents it from releasing its own oils. 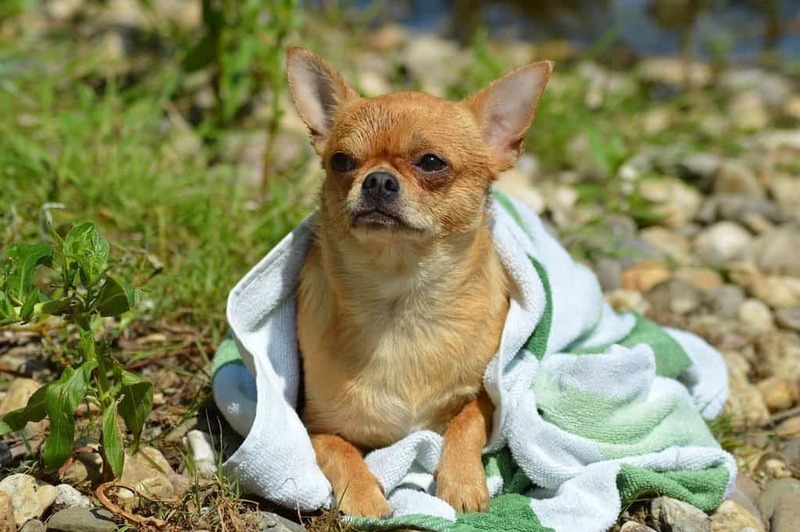 The most significant benefit of bathing your pup is keeping its fur and skin clean. 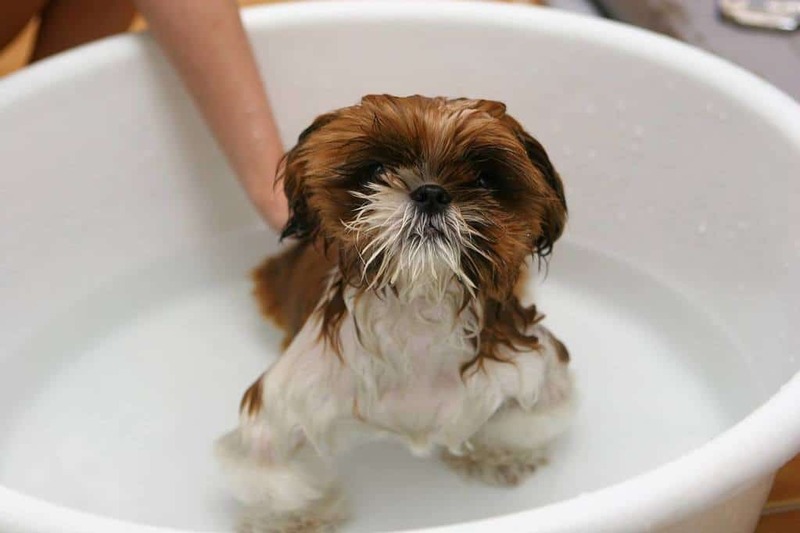 Bathing helps with when they get dirty when they interact with other dogs, or simply when you want them to smell nice. Plus, if your pet is trained to like it, it’s a nice way to bond and have fun. Now, some pooches like this while others don’t and sometimes there’s not much you can do. However, all dogs will feel much better after a soak, even those that didn’t like the process as much. 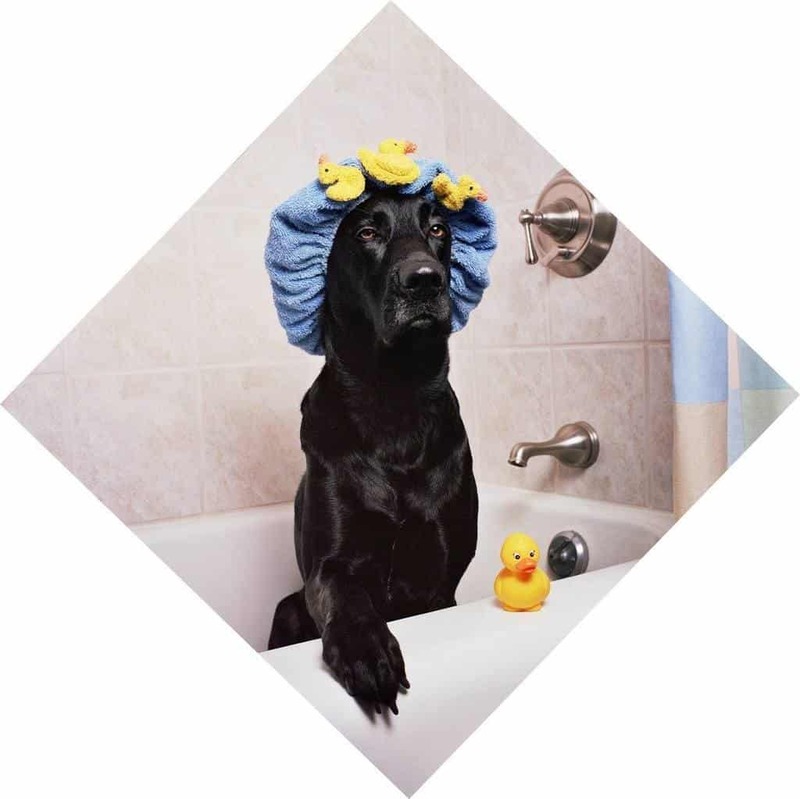 Using a best-smelling shampoo will be rewarding for both your and the pooch as all bad odor is eliminated. Another benefit has to do with you and your family. If you keep your canine in the house, it’s essential to maintain its fur clean to avoid possible health issues the dirt can cause to people. 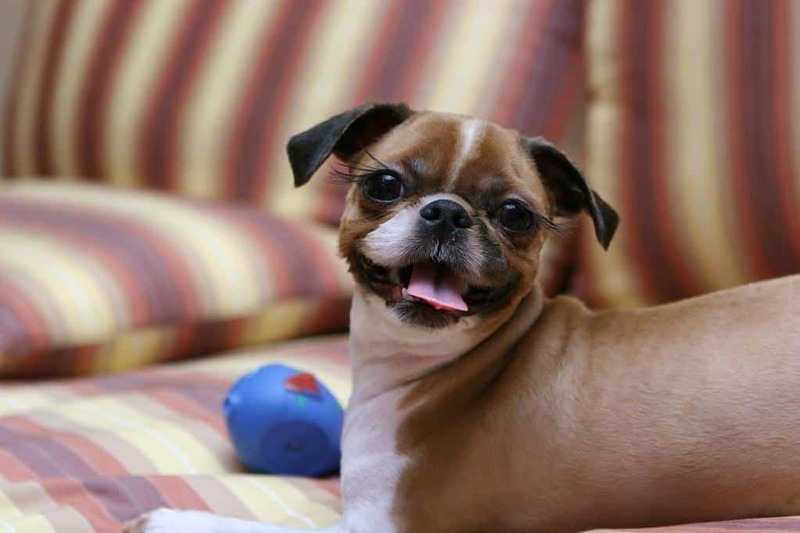 A dirty dog in the home results in a messy house, too, and that’s something you definitely want to avoid. 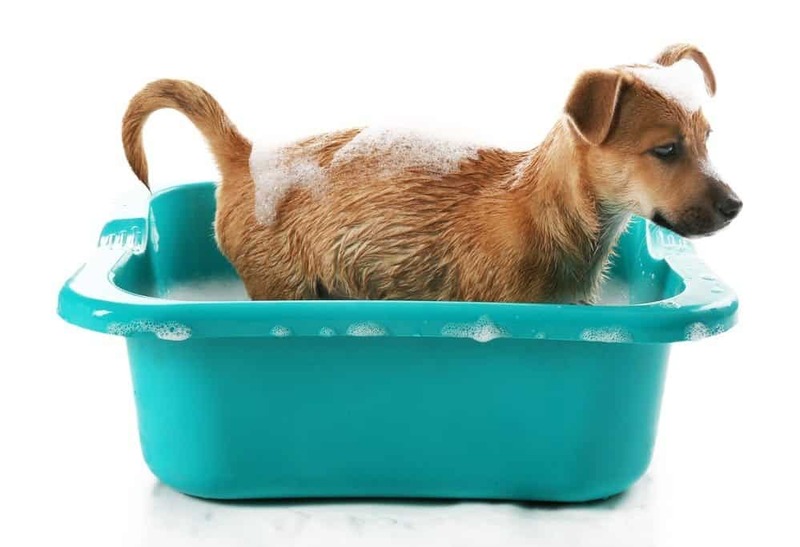 Bathing is by far the best way to keep your pup clean and smelling fresh. However, in some cases, you can’t bathe the dog as often as you want like if you’re treating a certain skin irritation or disease. 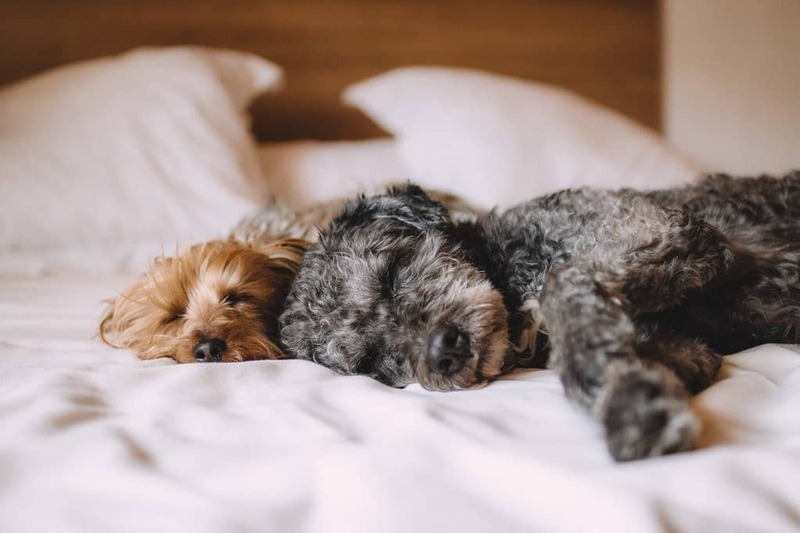 For example, shampoos that battle ticks should be used every two weeks, so even if your dog no longer smells of lavender, you shouldn’t rush to bathe him/her again. What can you do? As we mentioned earlier, you can turn to wet wipes and water/vinegar solution. These are the two most impactful ways of keeping the coat smelling fresh until the next time you clean them. You can choose pet wipes, but even those made for babies are a good alternative. Also, we know the bathing process takes quite some time and effort. If you don’t always feel like going through the hassle of battling with a wet dog, you can opt for a dry shampoo from time to time. Although this isn’t a permanent solution and isn’t as effective as regular shampoo, it’s a good and quick alternative. 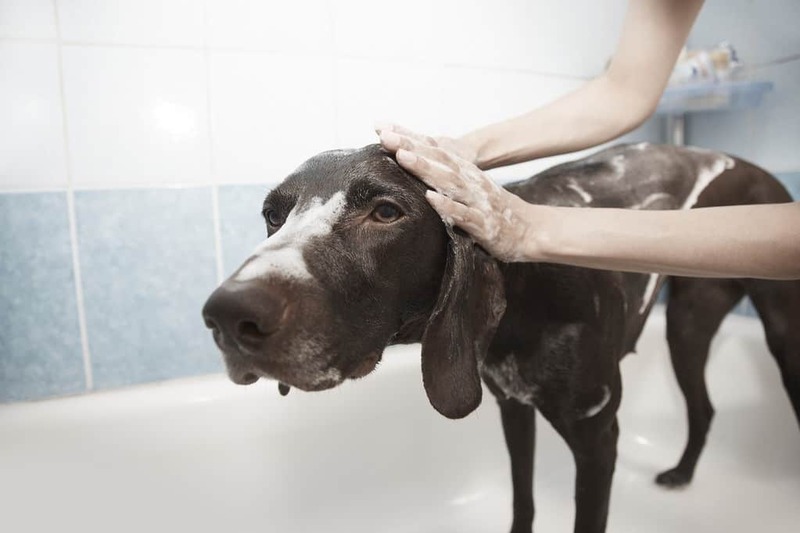 However, if you’re using a special shampoo to treat certain skin problems, it’s best you consult with your vet if it’s okay to use any alternatives in between the bathing sections. Using a human shampoo on a dog is something most people have done at least once. Maybe you didn’t know something like a dog shampoo existed or you forgot to buy a bottle after you ran out the old one. This isn’t something that could permanently hurt your dog, but you should still avoid doing it. The reason is that our skin is very different from our pet’s skin, so the products we use cannot be the same either. Simply put, if you wouldn’t use a dog shampoo to wash your hair, you shouldn’t use a human shampoo to wash your dog’s fur. 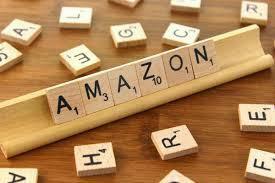 The best place where you could buy best smelling dog shampoos is Amazon. Not only it has a wide range of products you can choose from, but most of them also come in different sizes. Another benefit of buying these products from Amazon is customer feedback. Pet owners turn to Amazon to tell you about their experience with the particular shampoo helping you decide whether or not it’s the right thing for you. Plus, you don’t have to leave the comfort of your home and actually go to a store for it. Dogs are loyal companions and everyone who has ever owned one probably feels the same way. They love us with the most unconditional love, and for that, we should cherish them. It’s important we look after our pets from the food we give them to the baths and care we provide. And what better way to enjoy their cleaning than with a best-smelling shampoo made especially for dogs. We tried to make our list as versatile as possible so that every pet owner can find a product that fits their pooch the best.